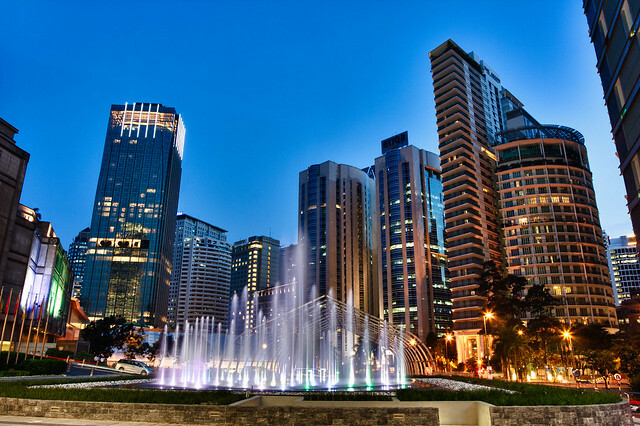 Malaysia’s capital city is rapidly emerging as one of Asia’s top cities. It has plenty of culture and history as well as modern delights. Public transport in Kuala Lumpur is efficient, fast, and easy, and there are heaps of places to sleep, eat, and drink. The night life is varied and fun. 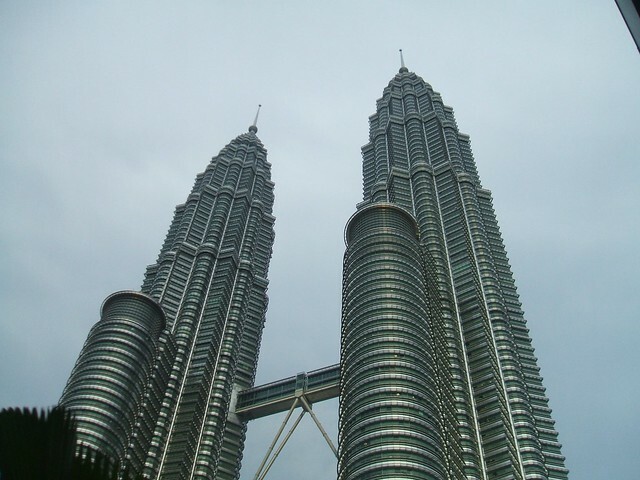 One of the iconic sights of the city, the gleaming Petronas Twin Towers are the biggest such twin towers in the world. They stand like a beacon, presenting an impressive sight from the outside. At night time they are lit up rather quite spectacularly. Visitors can buy tickets to go inside and enjoy the sweeping views from the sky bridge that links the two buildings. It is advisable to go early in the day to buy your tickets, as the different time slots quickly sell out. A ticket also allows you to ride in the elevator to the very top of one of the towers, where there is a display about the tallest buildings in the world and how they compare with the Petronas Twin Towers. In the lobby, cars decorate the walls. A symbol of Malaysia as well as Kuala Lumpur, the National Mosque is one of the country’s most important religious sites. Non-Muslims are required to wear appropriate clothing and head coverings, but these can be borrowed at the entrance to the mosque. Inside, there is a really peaceful atmosphere, with nice courtyards and plants. 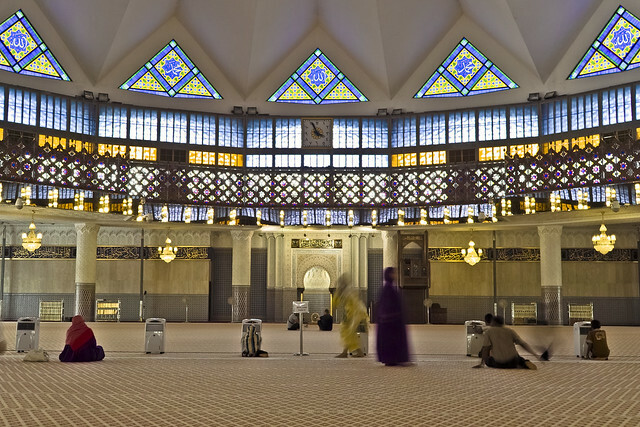 The main prayer hall is huge. Non-Muslims cannot go inside the prayer room, but they can admire the designs from the outer doors. People are on hand to give you more information and leaflets about the mosque. It is a fairly modern mosque, and the main dome is in the shape of a star. The calls to prayer boom from the towering minaret. Easily accessible by train, the Batu Caves are situated a short way out of the main part of the city centre. There are many steps to climb to enter the main cave, which has a large golden statue by its entrance. Inside, there are interesting rock formations, religious statues and icons, and various scenes are created by strange and unusual creatures. Dark Cave can be found next door, which is a main place for research into the various creatures and plants that live inside the cave systems. There are several smaller caves that can also be explored, each with interesting statues and shrines. Monkeys live around the caves, and they can be quite persistent if they think you have food or drink – make sure you keep a tight hold on your belongings and don’t let them see bottles of water and similar. 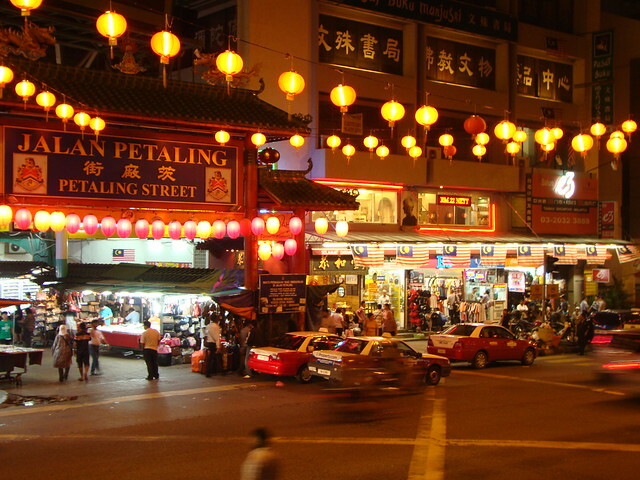 Marked by a large colourful ornamental gate, KL’s Chinatown is a lively part of the city. The smells of incense and cooking fill the air, and numerous vendors sell a vast assortment of cheap goods. There are many fake items for sale, so don’t be surprised if your “genuine” clothes or sunglasses turn out to be anything but! There are lots of street food options for a tasty snack, and you will also find Chinese temples and a variety of interesting museums.